You’re invited to join the Clinical TMS Society for this installment of our Grand Rounds Webinar Series: Deep TMS as a Treatment for Psychiatric Disorders by speaker Oscar G. Morales, MD. led Massachusetts Medicare to approve TMS for depression and soon after with the largest private health insurance companies. 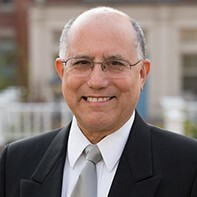 Dr. Morales pioneered the development of TMS, as a Fellow, he participated in the investigation that led FDA to approve TMS for the treatment of depression (2008) and was the McLean site primary investigator for a worldwide trial that resulted in FDA approval of deep TMS for the treatment of depression (2013). He is an expert in the National Network of Depression Centers (NNDC) TMS Task Group, which develops guidelines, recommendations and collaborative research at a national level. Dr. Morales is Chair of the Brain Stimulation for Anxiety and Depression (BRASFAD) working group of the Depression and Anxiety Division (DAD) at McLean Hospital.